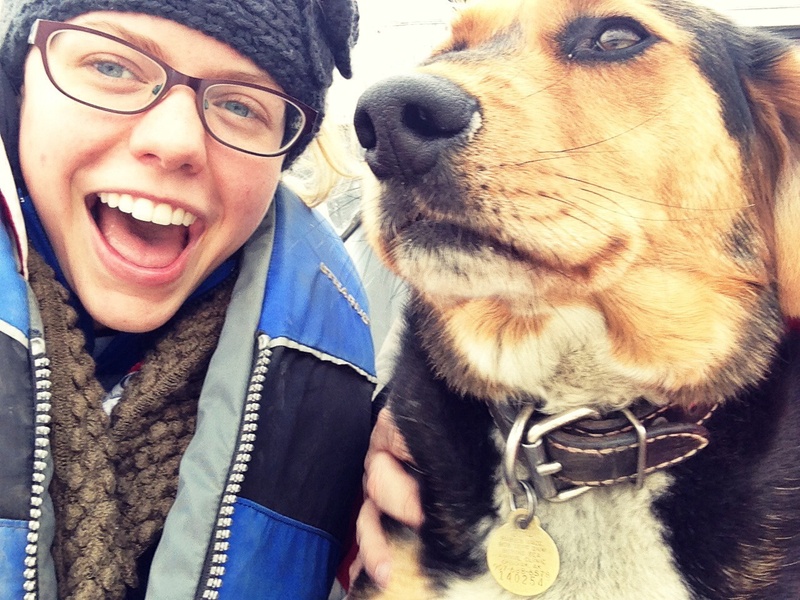 Dog selfies on the boat that took us to Stan’s fish camp! Last Wednesday we had the privilege to participate in an all day long workshop with Rose Dominic, a Yup’ik woman, and Ray Daw, a Navajo man. 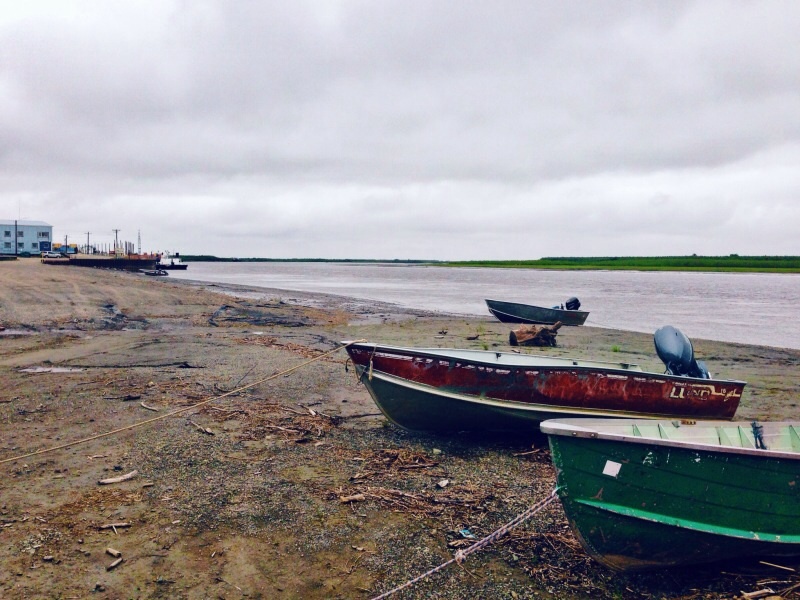 Rose and Ray hold these workshops for villages allover the main Yukon-Kuskokwim Delta and throughout Alaska. These workshops are intended to help the people through their healing process and understand what happened to them when change was brought about so rapidly and suddenly to them. Many of my classmates have already written about the workshop because this day was a very important day for all of us. I believe the workshop really set the course for our documentary and helped us get rid of our Eurocentric views and really understand what life was like when missionaries came and boarding schools were set up. Not only did it help us understand what happened, but I believe it made us feel, know, and understand what it means to be and live in the Yup’ik culture. When Ray stopped in the middle of his speech and sang his Navajo song and explained what Aha meant. Aha means when you are experiencing a moment of happiness and wonder that you just have to sing from the mountaintops. That is what an Aha moment means. During Ray’s song I flash backed to standing and looking out on the hill in the tundra that took forever to walk and climb to. We saw all of Bethel on one side and on the other tundra that just seemed to go on forever. Realizing how isolated we are in Bethel. There are no roads, highways, or streets that lead anywhere outside of Bethel. There are only roads within Bethel with no stoplights. Sitting on the bank of a river and diving into my fresh salmon caught 20 minutes earlier. Listening to the Yup’ik people tell their story in all of our interviews. Enjoying the golden hours and the sun set that lasted about 4 hours all with my new friends Arvin and Connie and with my camera crew, Nico, Tony, and Tim. Meeting people that are just so welcoming and will come up and talk to you. Sitting by the warm fire on a cold day at Stan’s fish camp. Going to mass and hearing the Yup’ik songs at the beginning and finding myself catching onto the language and singing along with the Yup’ik hymnal towards the end of the mass. Taking walks along the Kuskokwim river and chatting with friends. People gifting us with native food and just being so generous. Playing basketball Alaskan fish camp style at Stan’s fish camp! Going to sleep with the sun still up and waking up with no alarm to the sun. goodbye annoying alarm! Wondering how blessed and random it was that I got to go on this trip and the trip to the fish camp. The universe has a weird way of working doesn’t it. When Rose explained what a family structure meant in Yup’ik culture. At the heart of a giant circle is spirituality. That is surrounded by the young people and children in the tribe. Around the children is the elders who provide the wisdom and teach the children the ways to live. Around the elders are the women of the tribe who care and nurture for everyone. Then around the women are the men who protect and secure the tribe. She showed us in a demonstration and had us actually sit in a circle. I got to be a child in the center! Realizing how blessed I am and what a great Alaskan family i have here. I know for a fact that these are some great people that I have the privilege to share this experience and journey with them. Cheers to the beginning of week #2! Walks along the River are the best! Love the vivid descriptions of your adventures. God’s love is so abundant in the village. Keep warm!